There are so many reasons to visit Santorini. You can walk along the caldera edge allowing you to see amazing views of this beautiful Greek Island. When visiting the island make sure to sip a glass of wine while surrounded by the island’s beautiful vineyards, and make sure to visit the microbreweries. This island’s wine caves are some of the most beautiful in the world because of the artwork they contain. A visit to the Museum of Prehistoric Thera will help you understand more about this Greek island’s history. Many people come here just to relax on the island’s gorgeous beaches. The island’s cuisine is unique, so many visitors enjoy learning how to prepare it. With so many things to do in Santorini, the best way to explore the island is on a well-organized tour. 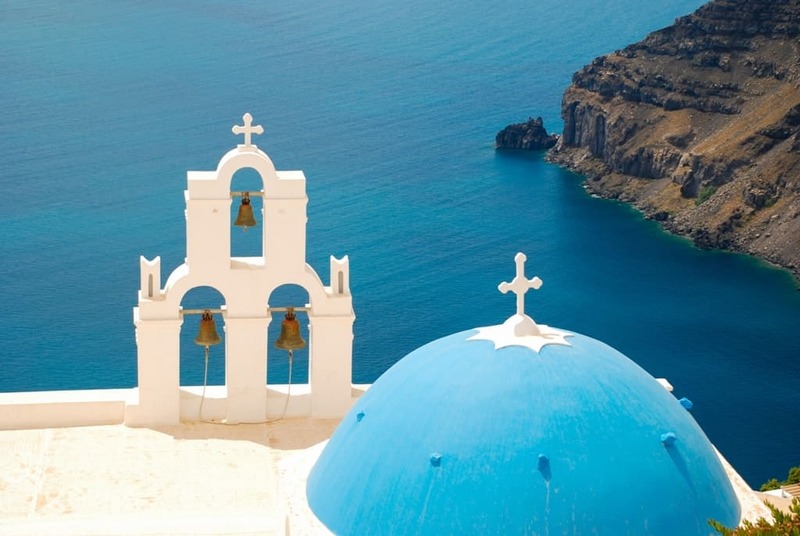 Consider these outstanding Santorini tours. Which one is your favourite tour in Santorini? 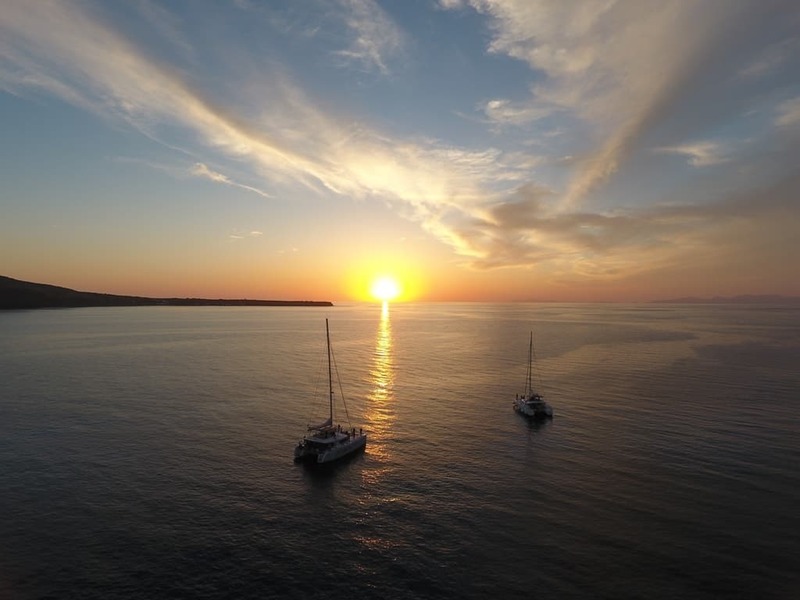 A great way to see the scenic beauty of Santorini is on a five-hour catamaran sunset cruise. This cruise leaves from the Ammoudi Port of Oia, although guests can be picked up at local hotels for an additional charge. The first stop is the beautiful Red Beach which is a great place to snorkel. After 30 minutes, the tour continues to White Beach for more snorkeling underneath the towering white cliffs. After enjoying a barbecue meal, then continue on to the Hot Springs for a mud bath. Climb back onboard the catamaran to watch the sun set on your return to Oia. 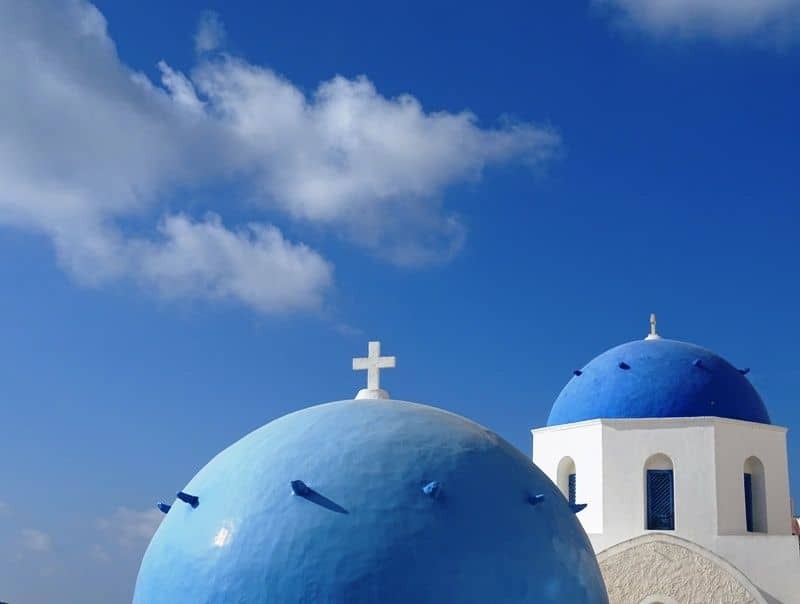 You might like: What to do in Santorini. Learn about the island’s amazing wine on a Santorini Half-Day Wine Adventure Tour. Vintners have been making wine on the island for at least 5,000 years. Learn how the rich volcanic soil helps produce grapes unique to the area. Additionally, learn about the problems faced by vintners on the island like the lack of rain and the cool winds. Participants choosing this tour have the opportunity to visit three wineries along with sampling 12 different Greek wines. Be served some of the island’s most iconic cheeses, meats and olives during this 4.5 hour tour. Island guests wanting to see all that Santorini has to offer will want to embark on the 10-hour Santorini Sightseeing Bus Tour. The first stop on this tour is the Minoan Bronze Age Akrotiri settlement where visitors can view the excavation work being done there. Then, it is on to Red Beach where guests can take advantage of the great red lava cliffs as a background for pictures. Next, move on to explore the history of Emporio Village with its unique windmills and century-old churches. Enjoy lunch at Perissa Beach with its black sand before continuing to a traditional Santorini winery. Learn about the island’s agricultural industry before ending your day with amazing views of a Oia sunset. 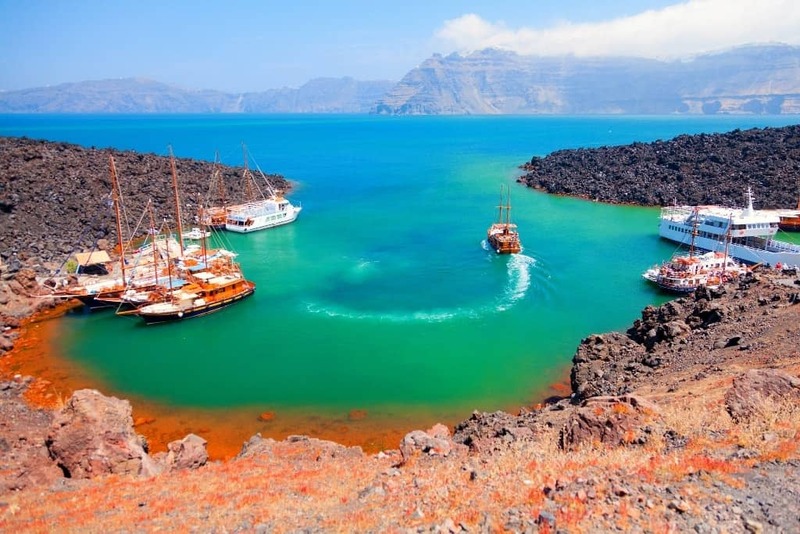 Climb aboard a traditional wooden kaiki yacht at the Port of Athinios to start your journey to Nea Kameni Volcano. After hiking along its rim for 90 minutes, then continue to Palea Kameni. Enjoy the short swim to the famous red mud baths where you can bathe and swim for 30 minutes. Learn about the fascinating underground caverns as you travel on to Thirassia. 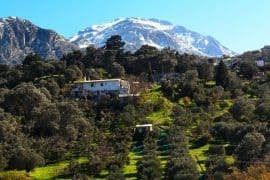 Once you arrive, you will have the option of enjoying the food at one of the small seaside taverns or you can opt to ride a donkey to Manolas that is seeped in century-old history. As you sail back to the Port of Athinios, be amazed at the scenic beauty of Oia, Imerovigli and Fira. If you are limited on time, consider a Santorini Private Tour. Participants are escorted to their favorite locations on a sprinter Mercedes minibus. Most guests start their Santorini tour with a visit to the Santorini Caldera before continuing to Oia. Then, participants usually choose to go to Imerovigli because of its stunning panoramic views. Along the way, stop at the Blue Dome Church in Firostefani that is featured in so many Santorini postcards. Climb to the top of Prophet Ilias, the highest point in Santorini, during your 6 hour Santorini tour. On your way down, stop at the Greek Christian monastery and the Venetian castle ruins. Participants then move on to Red and Black beaches before eating lunch at a traditional seaside tavern. Finally, this Santorini tour stops at a traditional winery before heading back to the starting point. This tour is perfect for cruise ship passengers who have little time on the island. Adjustable tour depending on your interests, perfect for cruise ship passengers with little time on the island. 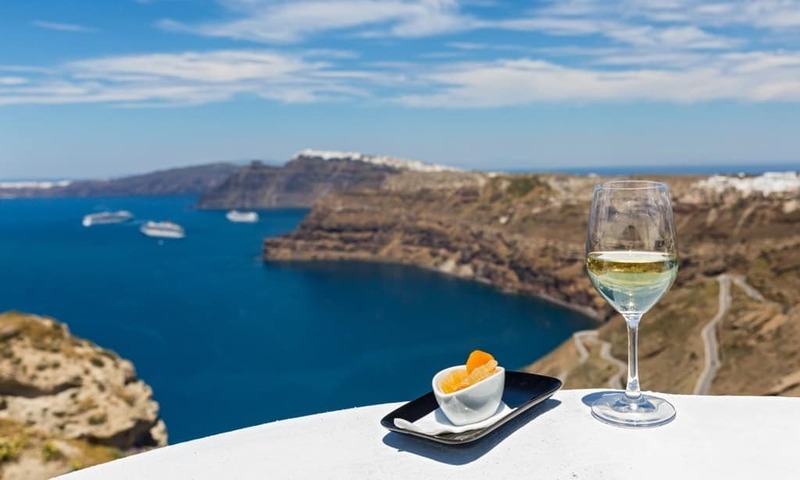 Start your Santorini tour with a visit to two wineries where you can learn about the Assyrtiko, Nykteri and Vinsanto wines made on the island. While you are enjoying sampling nine wines, learn the key elements setting Santorini wine apart from a local expert. Then, continue your tour by learning how to make Raki and Ouzo along with other traditional Greek aperitifs. Cook at a traditional Santorini restaurant before enjoying the meal during this Santorini tour. 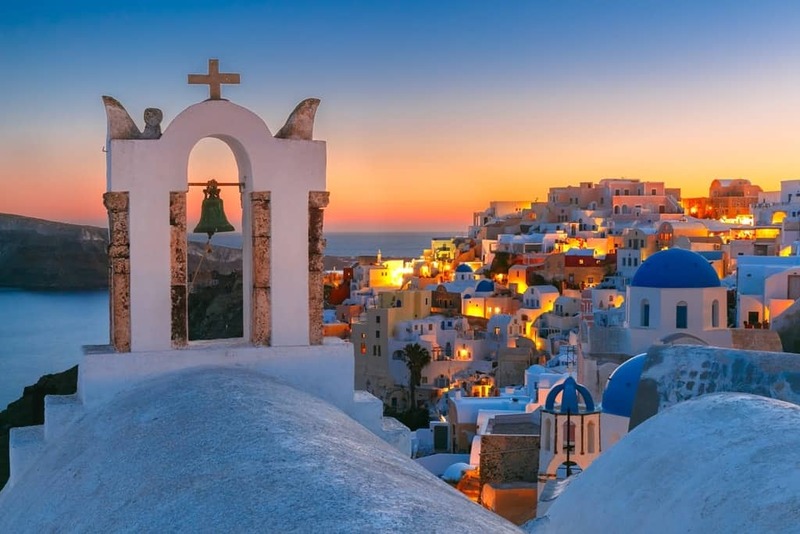 Before returning to your hotel on this six hour Santorini tour, you will be given the opportunity to purchase wine and olive oil at a very reduced price. Santorini is one of the most beautiful places on earth, so photographers really love to capture its unique beauty. The 5 Hour Private Photo Tour of Santorini is designed to take you to the highlights of the island and improve your photography skills. This tour is customizable, so just let the English-speaking guide know what interests you the most. This tour accommodates photographers of all ability levels. 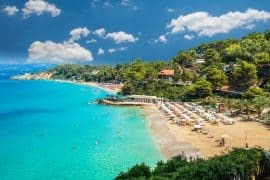 By the end of the tour, you will have captured stunning images of traditional Greek villages, outstanding landscapes and colorful beaches. This is by far my favorite as it combines a tour of the highlights of the island, it is tailormade to your preferences and you improve your photography skills. Read about my photography tour of Santorini here. 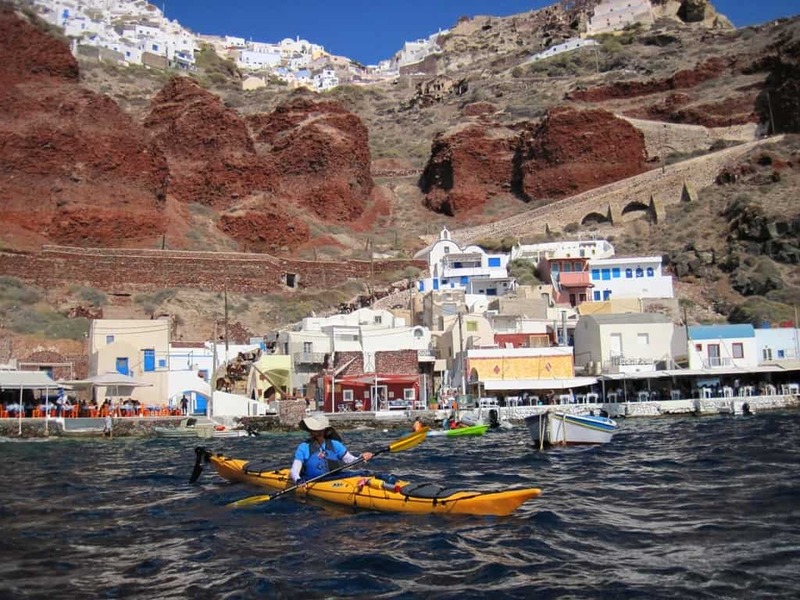 If you have never been in a sea kayak, then this Santorini tour is planned to introduce you to this exciting sport. Participants must be over 14, and in decent physical condition to enjoy this four hour adventure covering 7 miles. After a short lesson on kayaking, steer your kayak into the sea allowing you to see amazing scenery along the way. Enjoy seeing Santorini from the water on this adventure tour where you need to wear a swimsuit and bring a hat. If you are tired of having a crowd everywhere that you go, then a day trip to Folegandros Island is a great solution. This trip is limited to four participants. Climb aboard a rib boat to enjoy the beautiful scenery on a short journey to the island. Dive off the edge of the boat into the turquoise water creating memories that will last a lifetime. Once you come ashore, climb on a donkey for a ride through the Folegandros. Visit the Chora Castle built during the 13th century. After exploring, climb back on the luxury rib boat for a snack while you are watching the sunset. There are many Santorini tours to choose from, so make sure to pick the ones that interest you the most. Each has its own features catering to the topics that interest you the most. Keep in mind the length of each tour making sure that you leave plenty of time to complete the tour. Also, consider if you meet the physical requirements as some can be very demanding. A few Santorini tours also have age requirements so check before buying your Santorini tour ticket today. If only there was enough time to take all of these tours! Tours are a great way to see more of the island and a knowledgeable tour guide can make a huge difference in your experience. That is true Nick, a tour guide can make a huge difference. I am lucky enough to have been many times in Santorini, so every time I try something different. 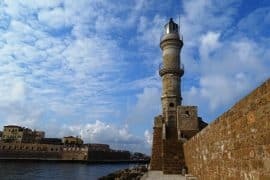 great article and very nice ideas about these tours chrissy! i m going to santorini in few weeks and literally cant wait!!! but now i m also thinking that i should probably do some island hopping since there are so many beautiful islands that sm can see close by! i found some ferry tickets from santorini to ios here https://www.letsferry.gr/en/upiresies/destinations/provoli-proorismou/ios and i m thinking to actually book it, but i m not sure if i have to go to ios or choose another island instead!!! do you have any other suggestions? ?please i would really like to here your ideas about where to go from santorini! thanks a lot and i ll be waiting your answer! kisses! !